I have a particular interest in helping you find a long-term solution for your back and joint care. 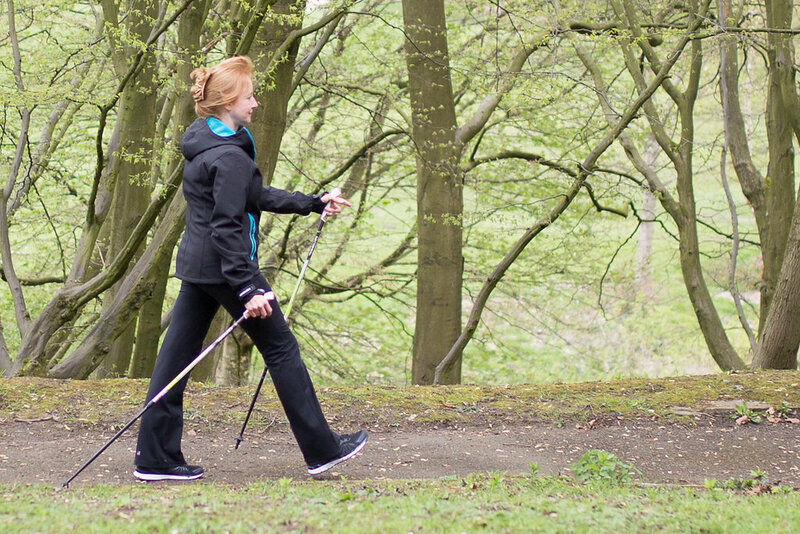 One of the ways you can overcome the problems caused by inactivity, poor posture and weight gain is using Nordic Walking Technique in Wilmslow. I believe that the benefits of this technique can really break you out of the cycle of inactivity and weight gain from being inactive and in pain. I personally find it very helpful for my own musculoskeletal health and wellbeing and I’d really like to share the benefits of this with you. As a qualified Nordic Walking Instructor in Wilmslow, I can help you learn Nordic Walking Technique. Walking using Nordic Walking poles enhances the natural shoulder and arm swing movement that should accompany a normal walking pattern. Nordic walking is a full-body exercise that’s easy on the joints and suitable for all ages and fitness levels. As a qualified Nordic Walking Instructor, I can offer to introduce you to the many benefits of Nordic Walking Technique by giving you one-to-one Nordic Walking tuition in Wilmslow as part of your consultations with me. I can help you become much more aware of the correct heel/toe movement you should feel through your feet as you walk using this technique. Using Nordic Walking poles engages the upper body muscles, bringing about forward body propulsion. Walking this way uses more skeletal muscles. It’s a great calorie burner! By experiencing the benefits you feel from the muscles that are being engaged as you walk with the poles, the aim is to reproduce the same upright posture, arm swing and heel to toe movement when you walk without the poles! Walk your 10,000 steps with me! We can easily walk out a good part of those steps in one session! All classes are available on request, but please contact me for more information on regular Nordic Walking classes in Wilmslow. If you’d like to discuss anything mentioned above, please call me on 01625 533813 / 07547 631679.